Working on my photo skills with the oh so old camera I am using. You can tell that this photo is not that great, but will have to work. The problem is the lighting needs to be perfect and these tasty treats didn't last much longer than a day so I only had one photo opportunity! You can substitute the rosemary and basil for other herbs. This recipe got my creativity going! 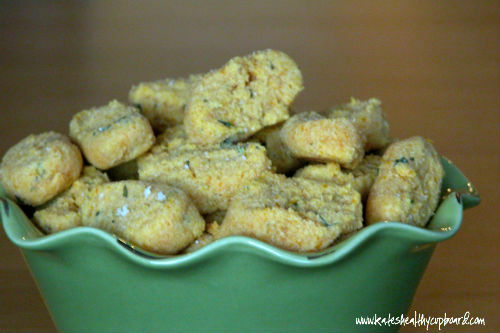 I'm working on some more grain- free, gluten free biscuits bites that will be sweet and savory!